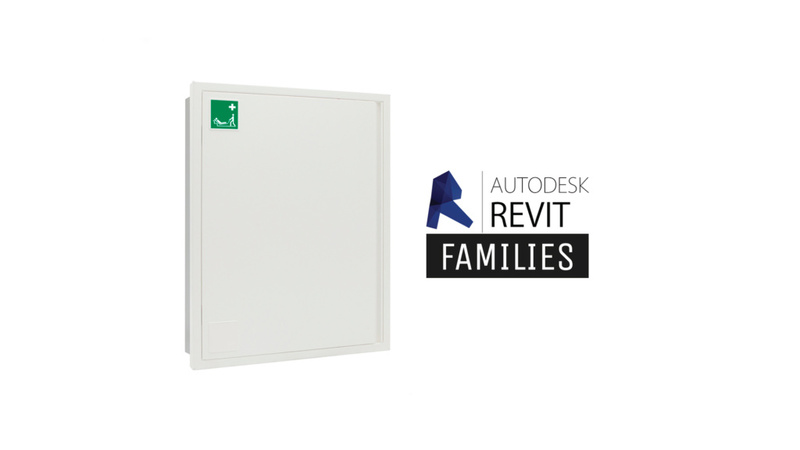 Revit families S-CAPEPLUS evacuation mattress - Saval B.V. The S-CAPEPLUS evacuation mattress is a valuable tool to evacuate people with a physical disability during a calamity. A storage cabinet not only serves for durable storage of the mattress, it does not disturb the appearance of your interior. Because the latter is often an important factor for architects, we have made a Revit family of the new built-in storage cabinet variant, so that BIM projects can be used from the first moment with the right dimensions.